My weekend has been VERY Fall-filled. 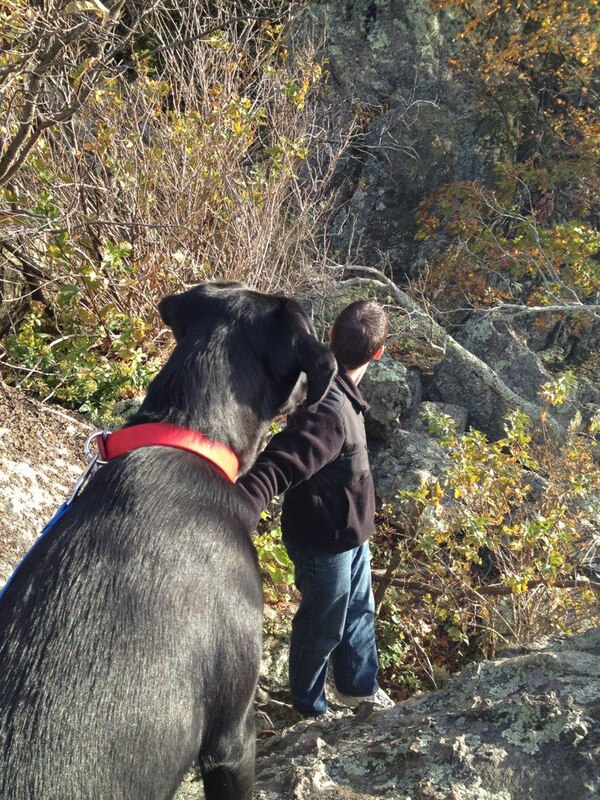 We went hiking in Shenandoah National Park (sometimes along the Appalachian Trail, accidentally – they really should label the trails and maps better) to see the leaves changing and give Porter some exercise! to the top of that rock. Porter was jealous. all that practice with jumping over the backside of the couch was worth it. 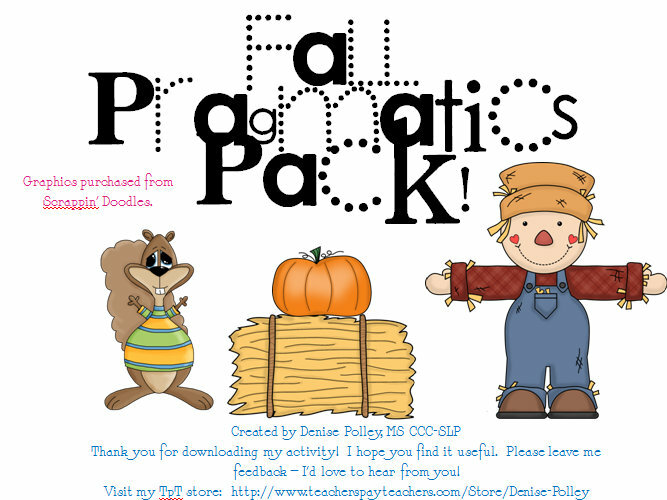 Because I was so “into” Fall this weekend, I figured I’d do a giveaway of my most popular TPT product – my Fall Pragmatics Pack! I will be giving one copy away here, via Rafflecopter, and another away on my Facebook page. The Pack targets 5 areas of pragmatics with differentiated levels for each area: Problem Solving (3 levels); Asking Questions (2 levels); Making Comments (2 levels); Taking Perspective (2 levels); and Following Social Rules (2 levels). All of the activities in this pack also target topic maintenance, turn taking, sharing opinions appropriately, & manners. My new blog-y friend, Jenn, did a review of this pack a few weeks ago. Check it out here! And now for the giveaway! To enter via Facebook, go to my Speech Language Pirates’s Facebook page here and follow the directions. Please “like” me while you’re there! Good luck, all. Thanks for reading! Perspective taking is always difficult for my students. I've been meaning to comment all week! Congrats on the new blog! I added you to my side bar! 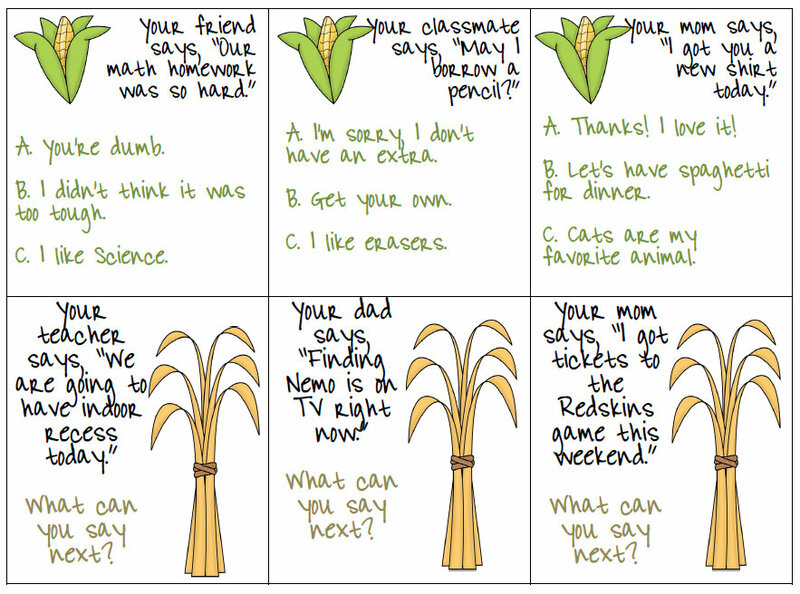 One little friend and I have been working on some social reasoning this week! Love working on social skills! cute! I love the graphics on your product! Thanks so much for reading, commenting, and the sidebar addition! I really appreciate it! Is the rafflecopter working again? And the Facebook link? Thanks! They are from Scrappin Doodles! My early elementary students are having a difficult time with following directions and yelling at peers! I love your activities! They are so creative! My kiddos always have a tough time with topic maintenance. Keep up the great job. If you get a chance check out my blog mishspoken.com. What a great give-away! Thank you for making such interesting materials! I will be doing a more specific topic maintenance activity in a few weeks! I woud also love to see materials focusing on perspective taking:) great blog! Love your dog!! 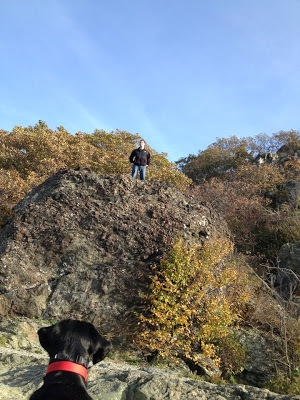 Mine is also WONDERFUL at scaling large rocks! 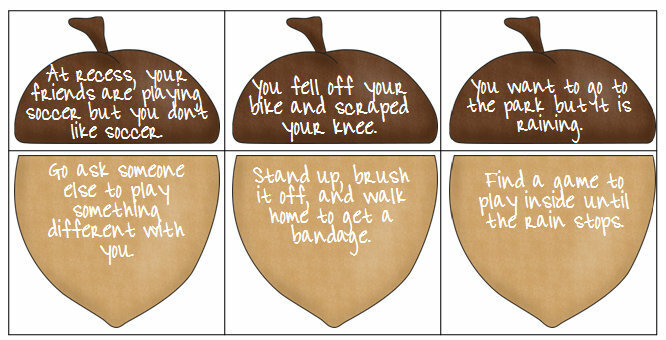 Your comment on couch jumping really cracked me up…so true! !